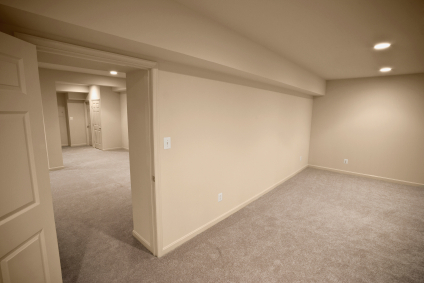 Having a fully functional basement can add value and functionality to your home. In most parts of the United States homes are built with unfinished basements, good for storage but that's about it. Get Your FREE Basement Remodeling Estimates Today! The fun part about remodeling your home's basement is all of the choices you get to make about the design, style and purpose of your new living space. Living rooms, bathrooms and bedrooms are typically a part of a basement renovation. Make sure to use a basement remodeling contractor who will transform your ideas into reality, without sacrificing quality or service. We will ensure you receive the highest quality service with the best materials, craftsmanship and equipment. Find the Right Expert Today! Here at Fix The Home we pre-screen local basement remodelers giving you the chance to receive a completely free estimate from up to four basment remodeling contractors in your area. If you're looking to finish that unused space and start on your homes new office, home theater, guest suite, game room or just some added square footage Fix The Home's online basement contractor referral service is your number one option. Start today, compare quotes and save big! The first step a contractor will take in remodeling your basement is creating a "skeleton" by framing out each room with wooden 2x4s. This is the support system for all of your basement's walls, doors and fixtures. From their electrical, HVAC and plumbing is run to it's appropiate spots. Be sure to discuss what type of insulation you want in your new basement. If you're thinking about having a home theater you might want to put sound deadening material in your new walls. Lastly drywall, plaster or wood paneling is attached clearly defining each living space. Drop ceilings or drywall ceilings then finish the look. Generally most basement floors are finished with carpet but hard wood is also a great option. Carolina Crawlspace Pros has over 25 years’ experience in the industry. We pride ourselves on being local to the Carolinas and bring that personal touch to every job. Controlling humidity is essential in the battle against mold. Carolina Crawlspace Pros use the industry’s leading products to protect the health of your home. Find local Basement Remodeling companies and contractors on FixTheHome.com. If you are a home improvement contractor you can join our Basement Remodeling contractor directory, just click the "ADD YOU BUSINESS" button on the top right of the page!